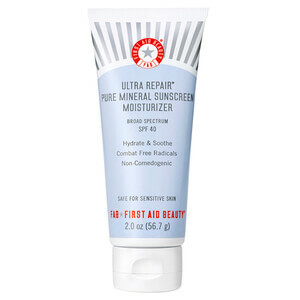 The ultimate multi-tasker, the First Aid Beauty 5-in-1 Face Cream SPF30 is perfect for combination, normal or oily skin and works to fight against the signs of ageing whilst hydrating and protecting the skin. An undeniable beauty essential, not only does its SPF30 effectively filter harmful UV rays and protect against photoageing, but its dash of alpha arbutin and Homeostatine® even out skin tone and reduce fine lines and wrinkles. 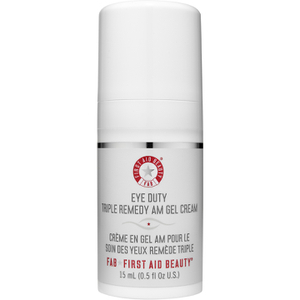 Expect protected skin with a soft, youthful and moisturised complexion. - K.N. Helps to prevent and visibly reduce wrinkles. 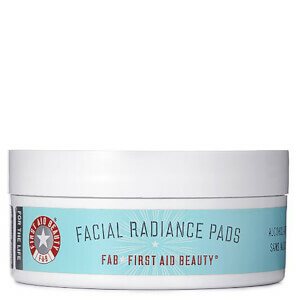 Brightens and corrects uneven skin tone. Filters harmful UVA/UVB rays and protects against photoageing. Nourishes and moisturises the skin. Apply a generous amount over entire face once or twice daily. Good combination of spf and moisturiser. 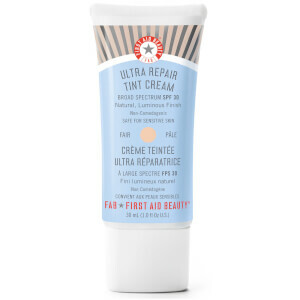 Having combination/dry skin, finding an spf that doesn't break me out has always been tricky, but this works really well. A little greasy which some of you oily girls may not like...but for you dry/combo ladies, def give this a try.